A farm business depends on its finances! Financial management is as critical as the other components of the business, such as crop, labor, nutrient, and pest management. Lenders expect farmers to manage the funds they lend to them, so a farmer-lender relationship is very important. Credit institutions will rarely extend credit when there is no visible record of your past income or when a financial plan cannot be prepared to convience them of the ability to use funds efficiently and repay the loans. Financial literacy and management are a must for anyone aspiring to be a successful farmer. The Farm$en$e program trains farm managers who receive financial assistance from the USDA Farm Service Agency. The course is 25 hours spread over 4 days. Making decisions on the farm is a daily activity, but buying land or equipment requires informed decisions and the use of financial statements. The program covers the use of the balance sheet, a "snapshot" of the farm financial condition at a single point in time. In order for the balance sheet to balance, total assets on one side have to equal total liabilities plus shareholders' equity on the other. The accrual income statement is a summary of the revenues, and the expense associated with generating those revenues, during a production cycle. The accrual concept applies directly to agriculture; farm managers in the program learn that changes in inventory are part of the farm revenues. The cash flow budget statement allows producers to project cash flows for each month of the upcoming year; it is the best financial planning tool. 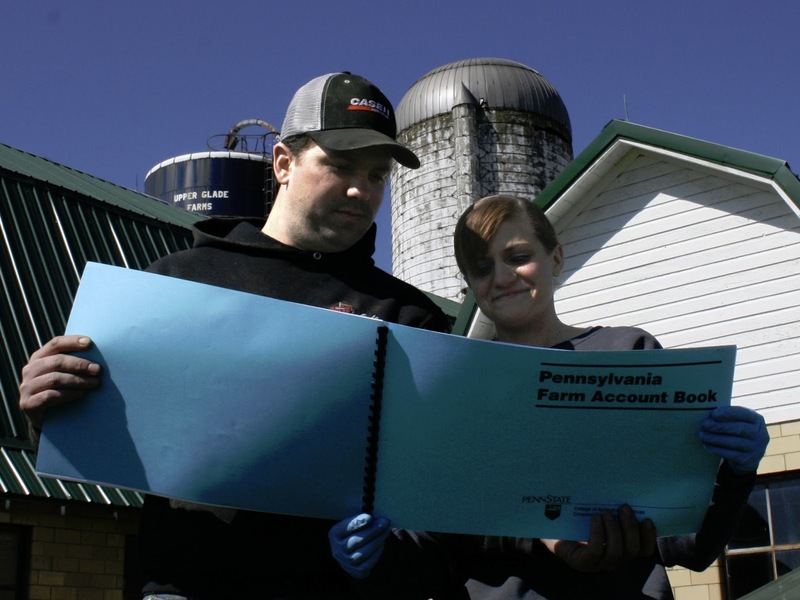 Participants are required to prepare these statements for their own farm. The workshop is designed to teach farmers how to assess their financial strengths and weaknesses, to identify the specific goals of the farm, and how to prepare a production plan that outlines the changes required to improve profitability. Enterprise budgets are used to better analyze short and long run fiscal impacts and evaluate profitability. Managing risks like price, cost, and interest rates are considered in this plan. Monitoring financial ratios can be useful to adjust operations throughout the year, rather than once a year. Borrowers attending the program learn to calculate their farm's financial ratios obtaining them from the key financial statements. The liquidity ratio measures the ability to pay bills when due, the solvency ratio indicates the amount of debt relative to equity, and the profitability ratio indicates the true financial performance of the business. These ratios are applied to troubleshoot and fix financial and production problems. As many beginning farmers, Orlo St. Clair, attendee of the program, lacked land, equipment, managerial experience and access to financial resources. St. Clair started as a herd manager on a farm in Indiana County. "I asked the owner if I could raise my own heifers, and he accepted," St. Clair said. "I wanted to have a base to start with." "Since I am a production guy, usually it is my sister helping me with the financial accounting, but now I enjoy planning my year's cash flow," said St. Clair, who milks 90 cows and crops 175 acres. "Thanks to the Farm$en$e program, I am able to plan my goals, changes, and measure the impact on the net income due to these changes." 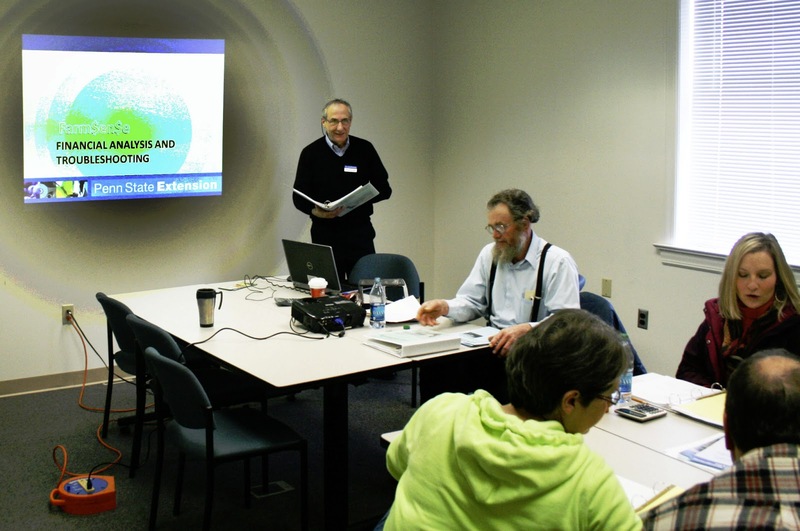 Penn State Extension and the FSA assist farmers in adopting the financial tools necessary to become active managers. For more information about Farm$en$e, contact Miguel Saviroff at the Somerset Extension office at 814-445-8911 ext. 144.